Every fall, Jewish people around the world observe Rosh HaShanah (also known as Feast of Trumpets or the Jewish New Year). It is on this day that Jewish people repent of past sin and do good deeds to increase their chances of being inscribed in the Book of Life for one more year. Rosh HaShanah is also meaningful for Christians. It is packed with symbolism that point to Jesus Christ, his unmerited grace, and his glorious return. What is Yom Teruah (also known as the Feast of Trumpets), and what is its significance? The Bible gives us a list of appointed times in which God wants to meet with His people. One of these special times is Yom Teruah, which literally means the “day of shouting or blasting.” It is more commonly called the day of Trumpets because we are commanded to blow the trumpets, to shout, and to raise a noise on this day. 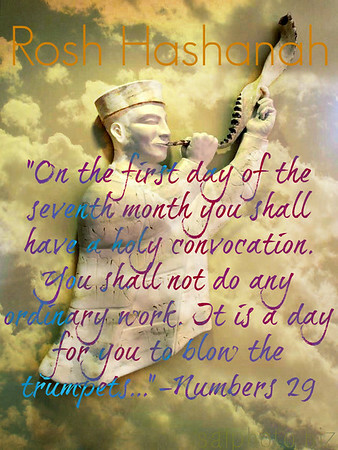 Yom Teruah is a day of rest, a day for seeking the Father, and a day of blowing trumpets and shouting to the Lord. On this day we look forward to the return of our Messiah, and we prepare our hearts for His return.